What’s All the Fuss About Podcasts? 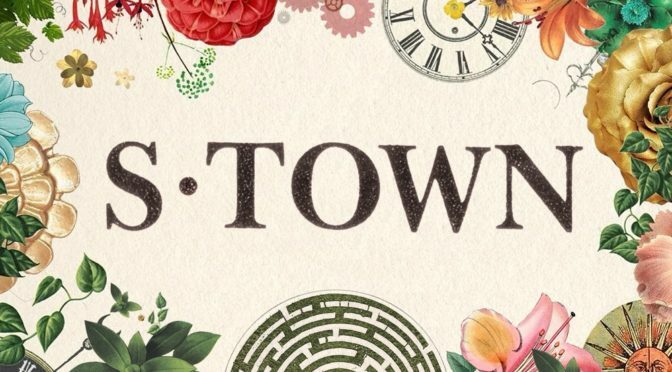 You may have heard about the latest podcast to make a splash, “S-town,” which, not to give too much away, tells the story about a man in the Deep South and the community he lives in. It has gained widespread attention the way “Serial” did a few years ago. So what is all the fuss about podcasts? If you commute for 30 minutes or more, they will make a big difference in your life. For the uninitiated, think of podcasts as radio in its heyday when families gathered to listen to “Little Orphan Annie,” “The Shadow” or Jack Benny. Unlike radio, the programming for which can vary by location and time of day, podcasts are like the Netflix of audio: You can listen when you want and where you want. “The Daily”: The New York Times started this 20-minute daily news digest. High production values and packed with news and insight. “This American Life”: A granddaddy of story-telling shows, often with surprising twists. “Heavyweight”: The premise is the host revisits a decision – be it trivial or consequential but often tinged with regret — and explores how it changed a person’s life. It is well done and spot-on about life and human nature. “Terrible, Thanks for Asking”: Heartache and tragedy abound in this show but not in a way that is at all maudlin. “No Such Thing as a Fish”: Ignore the title and listen. This is a gathering of smart Brits talking about the most interesting facts they’ve learned in the past week. Fascinating, fun learning on everything from history to biology and culture. “Answer Me This!”: Fun show in which the three British hosts answer questions from listeners. It is light-hearted, rude and informative. “In the Dark”: A hard-hitting report that examines the kidnapping and unsolved murder of a boy and deeply explores how the police investigation was so botched. I was slack-jawed listening to almost every episode. 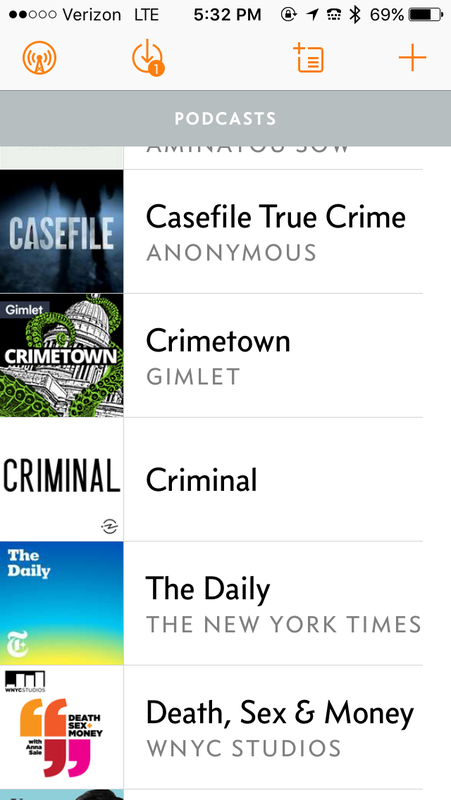 “Casefile True Crime”: This is hosted by an Australian and the accent takes a few minutes to get accustomed to but wow are these episodes deeply researched and they tell stories I’ve never heard before. “Crimetown”: Offers an amazing historical glimpse into the mob’s control of Providence, R.I., and its crooked mayor. The interviews and recordings from years ago are fascinating. They are worth listening to for the New England accents alone. “Sword and Scale”: Warning! This is not for the faint of heart. The stories are of some of the most grisly true crimes, replete with original 911 calls, court testimony and court records. Best to take in small doses. “The Radio Adventures of Eleanor Amplified”: This is a hilarious send-up of radio shows of old, complete with sound effects, snappy writing and cliffhanger endings. Safe for the kids and good fun for the adults. “Homecoming”: This takes a little while to catch fire but once it does, you are left wondering what’s coming next. Very intriguing plot that is well paced and performed. 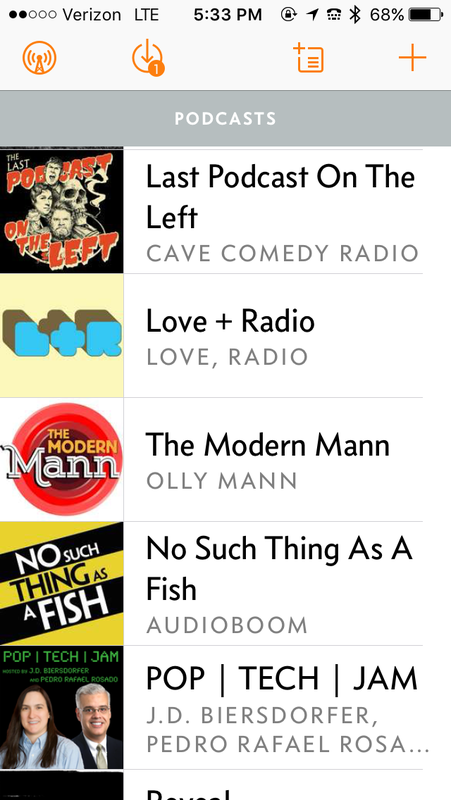 “The Modern Mann”: Hosted by Olly Mann, this is for and about guys, but with a British twist. Lightning-quick humor and entertaining. 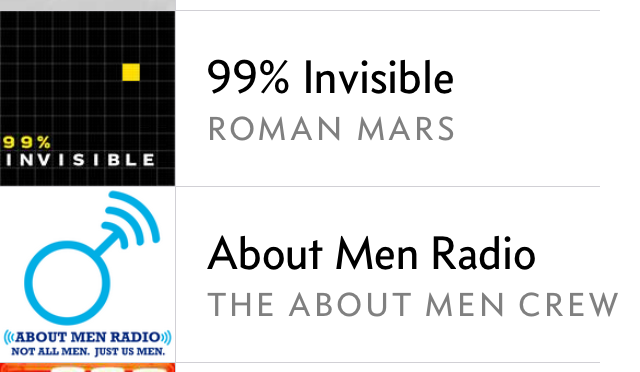 “About Men Radio”: Featuring yours truly and a friend of 40 years, Pedro, and a cast of other childhood chums. It’s not about all men, just us men, but in telling specific stories about ourselves, I think we reveal, through humor, introspection and crude jokes, some larger universal truths about men.